The best teachers put their students in the spotlight. And sure, seeing their students figure out long division for the first time is a reward in itself; but even the most humble of educators appreciates some acknowledgement. When launching a new behavior program, most schools naturally focus their energy on recognizing students. But the kids are only one half of the equation: the success of any behavior program relies on a team of engaged, committed, teachers. So it’s just as important to put them in the spotlight. Once they started a teacher recognition program, Chad saw a renewed energy in the building. Recognizing the leaders in your school will have a huge impact on their job satisfaction, and ultimately the experience of their students, too. We’ve pulled together a list of three easy ways to reward your top teachers on a regular basis using LiveSchool (and make it more personal than a rushed e-mail or another day planner). Students who earn the most points (and teachers who give them out) are recognized every week at Douglas Middle School. 1. Shout out your top 5 LiveSchool users. Every Friday, pull a report from LiveSchool to see the teachers who gave the most positive points that week, and pass on the good vibes! Read their name and the number of points over morning announcements. Encourage students to give a thank you note for the winner. Even a short “Thanks for recommending Catcher in the Rye” from the kid who used to hate English is enough to make any teacher look forward to Monday. 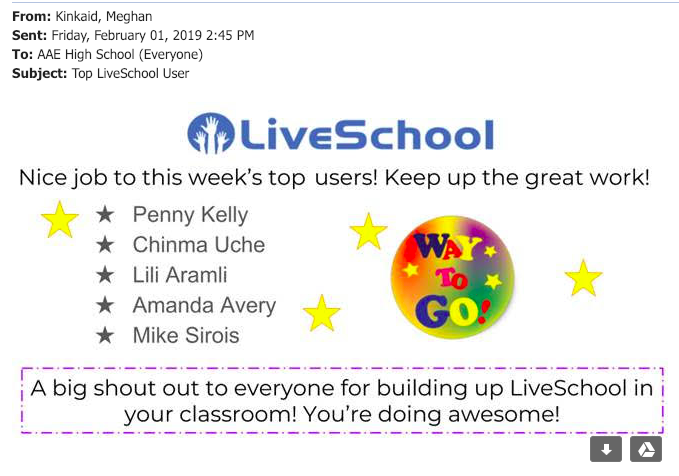 LiveSchool Leader Meghan Kinkaid started celebrating teachers in her school by checking the teacher’s Score Board in the Insights feature of LiveSchool every Friday. She lists the top 5 names in an all-school email slide every Friday. It’s a fast, easy way for her to celebrate those who are actively rewarding positive behaviors, and also boost general awareness every week for the rest of the staff. Meghan announces the top 5 teachers who gave out the most LiveSchool points every week. 2. Leave a surprise in their mailbox. Once a month, check the Teacher Scoreboard in LiveSchool to find your most active teacher. Chances are, they’re going the extra mile in other ways, too; so restore their energy! Surprise them with a gift card to your local coffee shop and a handwritten note. A monthly latte barely affects the bottom line, but could have a huge impact on their day. 3. Start a weekly raffle. Inspire a little friendly competition with a raffle. Keep the rules simple and send out a fun announcement, making it clear that this is a perk to look forward to - not an extra task. Any teacher who has given at least 5,000 points each week gets their name in the raffle. We pull one teacher per week for a $50 gift. We also have had trophies made for each grade level. One teacher from each grade with the highest points for the week gets the trophy to display outside their classroom. They love it! Some schools take this approach, but choose to keep the raffle on-going. This allows them to award big-ticket items at the end of the year. Chad Johnson keeps teachers engaged from day 1 to summer break by awarding raffle tickets every week. The teacher who gave out the most points for that week gets a raffle ticket; at the end of the year, they hold a drawing for larger items like flat-screen TVs and tablets that teachers can use in their classrooms. Pro Tip: Keep it simple. If your LiveSchool launch is off to a slow start, make it as simple as possible for users to get involved and start seeing the benefits. Rolling out a long list of features, functions, and perks all at once could be overwhelming for any busy elementary teacher. 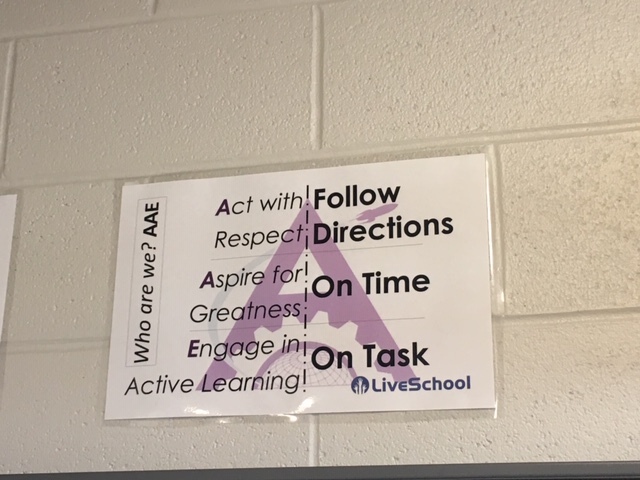 Meghan encouraged LiveSchool engagement by requiring just three main behaviors to be recognized in every single class: “On time”, “On task”, and “Following routines and directions.” By narrowing the focus, classroom recognition became much more approachable for teachers new to the LiveSchool system. Meghan also recommends a re-launch if engagement drops. When she noticed a decline in overall points one month, she brought teachers together to remind them about features within the app and stressed the value of using it consistently. Since their meeting , the school has seen a lift in usage, with several hundred more points being awarded per month. If engagement is low at first, simplicity is key to getting everyone on track. Choose a teacher recognition program. Then stick to it. Once you decide on a few teacher incentives, stick to a schedule so you can keep the momentum going. Decide who’s in charge of pulling reports and announcing the winners, and stick to specific days each week so you don’t leave your competitors hanging. 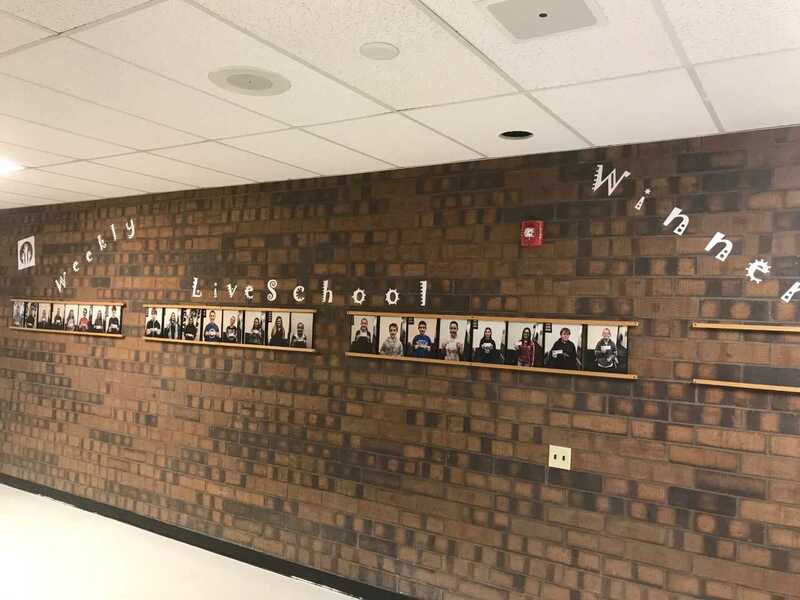 LiveSchool makes it easy to select winners quickly and objectively, so all you have to do is mark the school calendar and keep up the positive motivation. When teachers are engaged, you’ll see the difference. Chad was able to measure a very real difference in LiveSchool use once their teacher recognition program was established. In their first year of using LiveSchool, they had a positive to negative point ratio of one to one. They knew they needed to tip the scales and increase their positive recognition. Once they discovered an easy, effective way to recognize teachers, they started to see a huge change. So far this year, the school has reached its target ratio of six to one - the “magic” number where schools can expect a dramatic effect on overall school culture. Whether your champions earn cash or bragging rights, the end goal is the same: give everyone an excuse to congratulate your school’s most dedicated teachers. After transforming his own school with a teacher recognition program, Chad fully encourages others to initiate their own system - however simple. Even if it seems small... they enjoy the recognition. How do you recognize your teachers when they’re at their best? Send us your own ideas for using LiveSchool to inspire the leaders in your school!